Thanks to everyone at Lowell National Historical Park for the rapid re-opening just hours after the 35 day federal government shutdown ended. With an early tweet yesterday morning, the Park announced that it would be open its regular Saturday hours. It’s been said that you don’t appreciate something until you no longer have it. 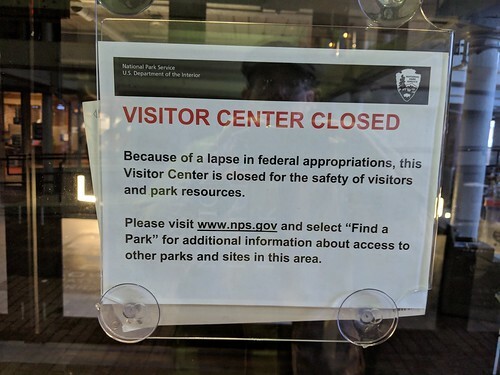 That’s been true about the National Park over the past 35 days. The Christmas holiday season and January are not big times for tourism in Lowell, but the National Park does much behind-the-scenes work at this time of the year. Missed meetings in January and February could easily result in missed events in the spring and summer. 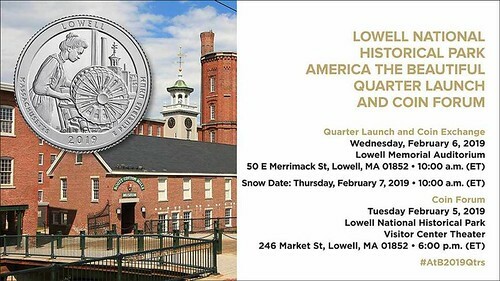 One big upcoming event that won’t be cancelled or postponed is the unveiling of the new Lowell quarter which will take place on Wednesday, February 6, 2019, at 10am at Lowell Memorial Auditorium. The event is free and open to the public. 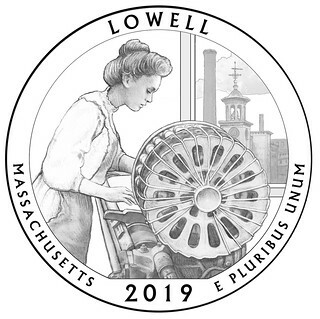 After the ceremony, attendees will be able to exchange $10 in other denominations for a roll of Lowell quarters. Each individual will be able to exchange up to $100. The night before, Tuesday, February 5, 2019, at 6pm at Lowell National Park visitor center at 246 Market Street there will be a free forum about coins and US currency featuring personnel from the U.S. Mint. Lowell City Election – Tuesday, November 5. There are undoubtedly many other events so more will be added to this list. From time-to-time, please check out our calendar in the left column of this blog for the latest information about upcoming events. I am also planning another fun season of Lowell Walks. The planning process has been slightly delayed by the federal government’s 35 day shutdown which closed Lowell National Historical Park. But this year I also plan to have more of the walks begin outside of the downtown. That model has been very successful, but there is so much more to see in Lowell that it’s time to venture out into the neighborhoods for some of our walks (although there will be plenty downtown, too). 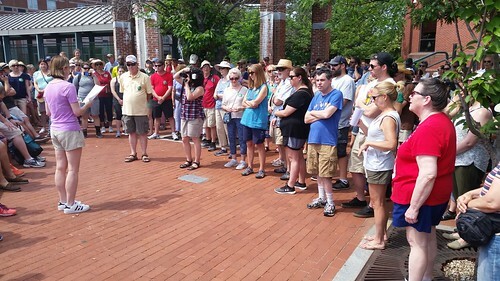 To keep up to date on Lowell Walks, please sign up for the Lowell Walks newsletter by entering your email address in the box in the upper right corner of this website. On Thursday, the Lowell Sun reported that Acting Superintendent of Schools Jeannine Durkin will not pursue the position on a permanent basis. Durkin’s decision followed the decision by the School Committee to commence the formal search process for a new superintendent rather than just transitioning Durkin into the position on a permanent basis. An earlier Sun article reported that while School Committee member Gerry Nutter supported a formal search for a new superintendent, he has his doubts about the type of candidates who would apply given the rocky relationship between past superintendents and school committees. Incredibly, our story begins with an unparalleled example of longevity: Vincent McCartin held the office of Superintendent of Schools for 36 years, from 1933 until 1969. Even then, McCartin only left because the state then had a mandatory retirement age of 70 which he had reached. Anticipating McCartin’s departure in May 1969, the school committee which then consisted of Arthur McGlinchey, George Kouloheras, Victor Forsley, William Collins, Thomas Sullivan, Clement McDonough and Mayor Robert Maguire, hired the deans of the schools of education of Harvard, Boston College, and Boston University to conduct a nationwide search and recommend finalists to the school committee. The deans recommended seven finalists (although none were from Lowell). On May 28, 1969, the school committee elected Dr. Thomas Shaheen of Rockford, Illinois. Voting for Shaheen were McGlinchey, Kouloheras, Forsley, and Collins. Maguire and McDonough voted for Dr. William Kelley of Manchester, New Hampshire. Thomas Sullivan voted for Lowell Assistant Superintendent G. Douglas Sullivan. A week later, Dr. Shaheen flew to Lowell to negotiate his contract and working conditions, but after that meeting, Shaheen announced that he would not take the Lowell position. The school committee reconvened on June 12, 1969. On the first two ballots, Forsley, Collins, and Kouloheras voted for Dr. Wayne Peters of Harvey, Illinois. Maguire and McGlinchey again voted for Dr. Kelley. McDonough voted for Assistant Superintendent Patrick Mogan. Sullivan again voted for Assistant Superintendent G. Douglas Sullivan. On the third ballot, McGlinchey joined Collins, Forsley, and Kouloheras in voting for Dr. Peters. After McGlinchey switched to Peters, so did Maguire and McDonough giving Peters six votes. He took office as superintendent on July 24, 1969. 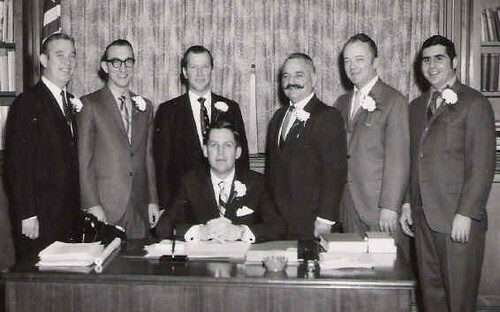 In the 1971 city election, incumbent school committee members William Collins, Victor Forsley, Ernest Herrman, and Clement McDonough were reelected. They were joined on the school committee by newcomers G. David Flanagan and Joseph Abrams. Incumbents George Kouloheras and Paul Robinson were defeated. Ellen Sampson was elected mayor. In March 1972, six members of the school committee (Sampson, Forsley, Herrman, Abrams, McDonough and Sampson) voted to deny tenure to Superintendent Wayne Peters which was the equivalent of firing him. Assistant Superintendent G. Douglas Sullivan was named acting superintendent and a nationwide search for a new superintendent was launched in May. On August 2, 1972, the school committee elected Dr. Hugh McDougall, a New York City educator, to be Lowell’s next school superintendent on a six to one vote. Voting for McDougall were Mayor Ellen Sampson and committee members Clement McDonough, Joseph Abrams, William Collins, David Flanagan, and Ernest Herrman. Victor Forsley voted for Dr. Robert Rasmussen of Dover, Delaware. However, by the end of 1972, Superintendent McDougall and the school committee were at odds over the superintendent’s salary and McDougall indicated he would leave Lowell when his contract expired in August 1973. On June 13, 1973, the school committee elected Lowell Title I director Earl Sharfman superintendent of schools on a four to three vote. Committee members Ernest Herrman, Joseph Abrams, Paul Robinson (who had joined the committee mid-term when William Collins resigned), and David Flanagan voted for Sharfman. Victor Forsley, Clement McDonough and Mayor Ellen Sampson voted for Patrick Mogan who was then the director of the Lowell Model Cities Program. Sharfman would take over as superintendent on August 27, 1973, the expiration date of McDougall’s contract. In the 1975 city election, voters reelected incumbent school committee members Kathryn Stoklosa, George Kouloheras, Patricia Molloy, and Clement McDonough. Joining them were newcomers Daniel Kane and William Kirwin. Incumbent George O’Hare lost. Leo Farley was elected Mayor. In January 1977, the school committee voted not to renew Earl Sharfman’s contract as superintendent. On June 15, 1977, the committee voted unanimously to hire Patrick Mogan as the next Lowell superintendent. Mogan took over on July 1, 1977, the day after Sharfman’s contract ended. In the 1981 city election, voters re-elected incumbent school committee members Gerald Durkin, Clement McDonough, George O’Hare, Daniel Kane and William Kirwin and elected former committee member Kathryn Stoklosa (she had run unsuccessfully for city council). Brendan Fleming was elected mayor. Shortly after the school committee took office in January 1982, School Superintendent Patrick Mogan announced that he would retire on June 3, 1982 when his contract expired. Despite receiving 42 applications for the position of superintendent, the school committee chose not to interview anyone and on May 26, 1982, elected Assistant Superintendent Henry Mroz to be the next school superintendent by a six to one vote (all but Mayor Fleming). In the 1987 city election, voters re-elected school committee incumbents George Kouloheras, Kathryn Stoklosa, and Regina Faticanti. Joining them were newcomers Kathleen Janas, Mary Anna Sullivan, and Sean Sullivan. Incumbent George O’Hare lost. Incumbents Gerald Durkin and David Allen both ran for city council (Durkin won; Allen lost). Richard Howe was elected mayor. In the summer of 1988, Regina Faticanti, Mary Anna Sullivan, Kathleen Janas and Mayor Howe voted to not renew the contract of School Superintendent Henry Mroz and to begin the search for a new superintendent. However, on May 24, 1989, Janas announced that after interviewing seven superintendent finalists, she would instead join committee members George Kouloheras, Kathryn Stoklosa, and Sean Sullivan in granting a new contract to Mroz which they did. In the 1989 city election, voters re-elected incumbents Regina Faticanti, Kathleen Janas, George Kouloheras and Mary Anna Sullivan. Joining them on the school committee new-comers Steven Panagiotakos and Raymond Riddick. Incumbents Sean Sullivan and Kathryn Stoklosa lost. Richard Howe was elected to a second consecutive term as mayor. In the summer of 1990, the school committee reached an agreement with Superintendent Henry Mroz wherein Mroz would leave the superintendent’s office at the end of 1990 with six months left on his contract, in exchange for working as a paid consultant for that six months. A community panel appointed by the school committee recommended that Assistant Superintendent George Tsapatsaris be considered for the position before any search for additional candidates was conducted. On November 14, 1990, the school committee unanimously elected Tsapatsaris as the next Lowell superintendent of schools to begin on January 1, 1991. In the 1999 city election, voters re-elected Timothy Golden, Regina Faticanti, Kevin McHugh and Joseph Mendonca. Joining them were newcomers Connie Martin and John McQuaid. Incumbent George Kouloheras lost. Incumbent William Taupier did not run. Eileen Donoghue was elected mayor. In August 1999, Lowell Superintendent George Tsapatsaris announced he would retire effective June 30, 2000. The School Committee convened a Blue Ribbon Panel to recommend candidates to succeed Tsapatsaris. On April 20, 2000, the school committee elected Basan Nembirkow, the superintendent in Greenfield, Massachusetts, to be the next Lowell superintendent. Voting for Nembirkow were Mayor Eileen Donoghue and school committee members Joe Mendonca, John McQuaid, and Connie Martin. Committee members Regina Faticanti, Timothy Golden, and Kevin McHugh all voted for Lowell Deputy Superintendent for Personnel Helen Flanagan. Other candidates were Karla Brooks Baehr, Carol Kelly, Lowell High headmaster William Samaras, and Lowell Assistant Superintendent Rosemary Leblanc-Considine. 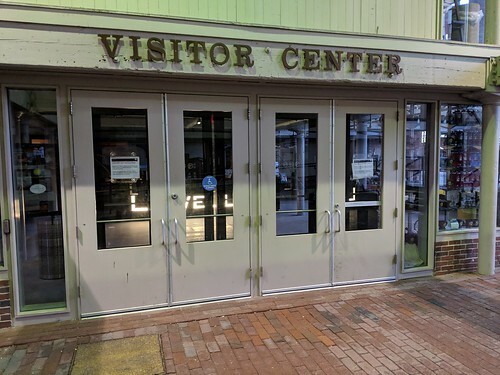 However, after meeting with the school committee in May to negotiate his contract, Nembirkow revoked his acceptance of the job, citing “internal strife” on the school committee as one of his reasons. The school committee reconvened on May 17, 2000 and unanimously selected Wellesley superintendent Karla Brooks Baehr to be the next Lowell superintendent. In the 2007 city election, voters re-elected Regina Faticanti, John Leahy, Jackie Doherty, Jim Leary and Connie Martin. Joining them was newcomer David Conway. Incumbent Kevin McHugh lost. Bud Caulfield was elected mayor. Shortly after the election, Superintendent of Schools Karla Brooks Baehr announced she would not seek an extension of her contract which would expire in June 2008. On March 24, 2008, the school committee selected Chris Augusta Scott, the superintendent in Norfolk, Massachusetts, to be Lowell’s next school superintendent. 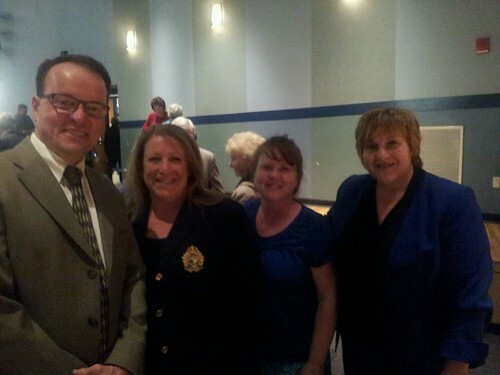 Scott received votes from Jackie Doherty, Connie Martin, Jim Leary, and Mayor Bud Caulfield. Regina Faticanti and Dave Conway voted for LHS curriculum director Wendy Jack. John Leahy voted present, arguing to reopen the search. Scott took over on July 1, 2008. In the 2009 city election, voters re-elected school committee incumbents David Conway, John Leahy, Jackie Doherty, James Leary, and Connie Martin. Joining them was newcomer Alison Laraba. Incumbent Regina Faticanti lost. Jim Milinazzo was elected mayor. In January 2011, School Superintendent Chris Augusta Scott announced she would leave Lowell when her contract expired at the end of June, citing the school committee’s failure to offer her a new contract as the reason for her departure. On April 23, 2011, the School Committee unanimously selected Deputy Superintendent Jean Franco to succeed Scott. Other finalists for the position were Attleboro Superintendent Pia Durkin, Sandwich Superintendent Mary Ellen Johnson, and education consultants Ferdinand Fuentes and Charles Wilson. In the 2013 city election, voters re-elected school committee members James Leary, David Conway, Connie Martin, Kim Scott and Kristin Ross-Sitcawich. Joining them was former city councilor Stephen Gendron. Incumbent Robert Gignac lost. Rodney Elliott was elected mayor. In June 2014, the school committee offered Superintendent Jean Franco a two year contract extension. She accepted, but later that same month the committee voted six to one (Steve Gendron) to delay ratifying the contract. The committee then reduced the contract to one year which would end in June 2015. In November 2014, Franco informed the committee that she would retire when that contract ended. On May 7, 2015, the school committee selected Dr. Salah Khelfauoi to be the next superintendent on a third ballot, four to three vote. On the first ballot, Khelfauoi, the superintendent in Winchendon, Massachusetts, received votes from Kristin Ross-Sitcawich and Mayor Rodney Elliott. Committee members David Conway and Kim Scott voted for Kriner Cash, the superintendent in Memphis, Tennessee. Committee members Steve Gendron, Connie Martin and James Leary all voted for Lowell Deputy Superintendent Jay Lang. The three stayed with Lang on all three ballots. On the second ballot, Scott switched her vote from Cash to Khelfauoi. On the third ballot, David Conway did the same, giving Khelfaoui four votes. In the 2017 city election, voters re-elected school committee incumbents Jackie Doherty, Robert Hoey, Connie Martin and Andy Descoteaux. Joining them were newcomers Dominik Lay and Gerry Nutter. Incumbent Steve Gendron did not run and Robert Gignac ran (unsuccessfully) for city council. Bill Samaras was elected mayor. In July 2018, committee members Jackie Doherty, Connie Martin, Gerry Nutter and Mayor Samaras voted to begin the process of terminating the contract of Superintendent Salah Khelfauoi who was placed on leave. Voting to retain Khelfauoi on active duty were committee members Robert Hoey, Andy Descoteaux and Dominik Lay. In November 2018, by the same vote, the school committee terminated Khelfauoi’s contract and named Assistant Superintendent Jeannine Durkin to be interim superintendent. In January 2019 as the school committee began the search process for a permanent superintendent, Durkin announced that she would not be a candidate, which is where we stand now.